Valentines Day is almost upon us which means it is time for the annual "Miami International Boat Show". As always it is an opportunity to inspect a huge range of vessels in one location and to work with our team of experts. This year All Ocean Yachts will be working the "Miami Yacht and Brokerage Show" and we are available to assist you with inspections. 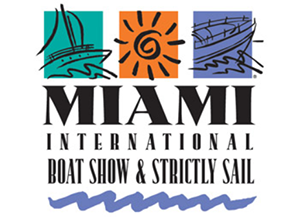 This show features long range world cruising yachts and there is a dedicated "Strictly Sail" display at the "Miamarina at Bayside". Among the builders displaying this year will be "Passport Yachts". I spent much of my yachting career (20 yrs. ), as a partner in the development and building of the Passport brand. If Passport is on your short list I would be happy to discuss the design and build process with you. There are also a number of long range sailing yachts on the brokerage market currently in the Miami/ Fort Lauderdale area which will not be in the show, but are available for inspection by appointment. Please contact our office to schedule time with one of our associates. 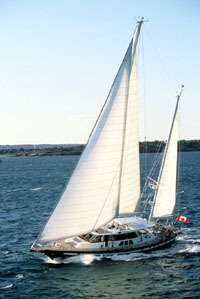 For additional information on world cruising sailing yachts please checkout the AOSY.com site. There is a wealth of material which will help you in your decision making process. The available search engine accesses a worldwide multi-list network of vessels and returns an inquiry directly to our agents for immediate follow-up. And for background on various yachts, designers and builders, our review section features new listings, yacht reviews and in-depth design reviews of world-class builders such as Alloy, Perini Navi and Royal Huisman. Contact Us with any questions you have or if you need additional information on any particular design or build. We are available at your convenience. We look forward to hearing from you and seeing you at the 2014 "Miami Yacht and Brokerage Show" and "Miami Boat Show".